Certified Aquascape Contractors (CACs) are the most qualified and informed pond contractors and installers in the water gardening industry. All CACs are trained and educated to not only install beautiful low-maintenance water features, but also to provide quality workmanship, outstanding customer service, and knowledgeable assistance to their customers and each other. Tussey Landscaping strives to offer the best service and experience by being your local CAC Pond Contractor in State College Pa.
Tussey Landscaping has been a pond contractor and a CAC since 1997, and is a Master CAC. In 2017 Tussey was awarded the Artist of the Year Award by Aquascape in Chicago IL. Additionally, Aquascape awarded Tussey Landscaping the 'Top Frog Award', making Tussey the Top CAC in the water feature industry of 2015 and 2017. At Tussey, we are passionate about creating properly designed and built water features for your State College backyard. 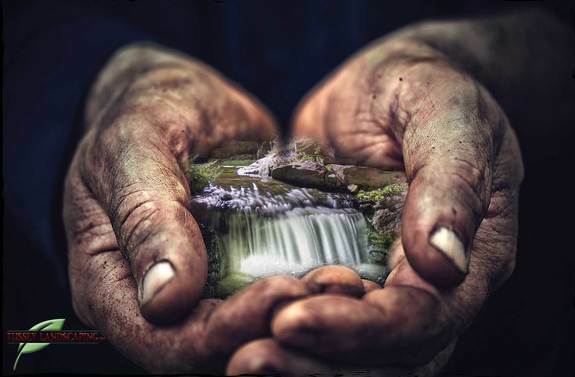 Our true artistry comes out in the endless attempt at recreating beautiful waterfalls and ponds; inspired by the beauty God's creation in the nature around us. So, to have a water feature built right, look no further. With decades of experience, no one is more qualified than Tussey Landscaping to bring that little piece of nature to your backyard; a water feature. Tussey Landscaping has been your local State College Pond Contractor, Pond Builder & Installer since 1997. Get Started Planning Your Very Own Water Feature!